Plastic waste is a massive problem globally and even though many big businesses and people are trying to reduce this, there is still much more that needs to be done. In this article, we look at why single-use plastics are such a problem, what the alternatives are, and why we are eliminating them in our mailing and print service. Single-use Plastics are a massive problem! But, why is this such a problem? What effect does this have? Plastics do not biodegrade – it can take up to thousands of years for plastic to decompose, so imagine the build-up in our landfills and oceans as the rate of production continues to increase. Plastics are toxic to animals and humans – plastics break down into smaller pieces called ‘microplastics’ which can contaminate our soil and waterways. The toxic chemicals get transferred to animal tissue, eventually entering human food and once ingested, can have damaging effects on our nervous systems, lungs, and reproductive organs. any other animals suffering because of plastics too. Plastic bags and straws can choke wildlife and block their stomachs as they are often mistaken for food. Plastics are rapidly diminishing our fossil fuel resources and increasing the price of oil – with so much plastic being made every day, gas resources are becoming a concern. As this is a non-renewal resource, the price for oil is ever-increasing as a result. Imagine dumping a truckload full of plastic into the ocean every minute. 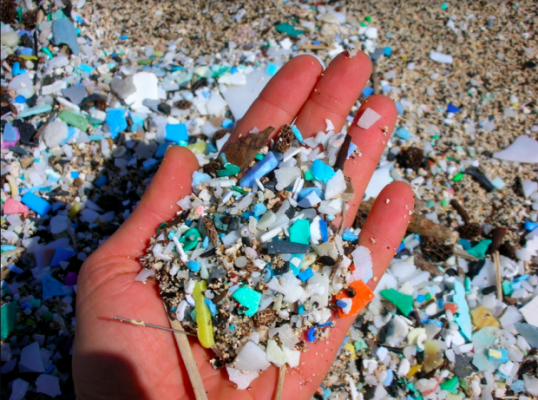 This is what we are currently doing and if this continues, plastics will outweigh the fish in our oceans by 2050. Change starts with us. Many people think that their single contribution won’t make much of a difference, but this is crazy. We, and only us, are responsible for improvement – who else is going to take action? 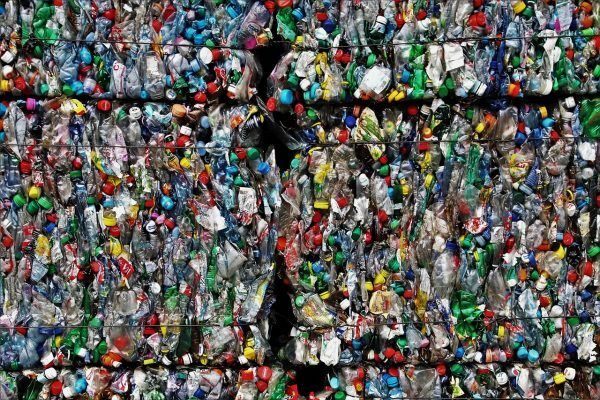 Industries need to address the problems of single-use plastic by creating sustainable, environmentally-friendly alternatives to plastics AND the end consumer needs to be educated about how to manage recycling responsibly. Only when both of these issues are addressed can we come up with an effective solution. Bioplastics: the future alternative to plastic! 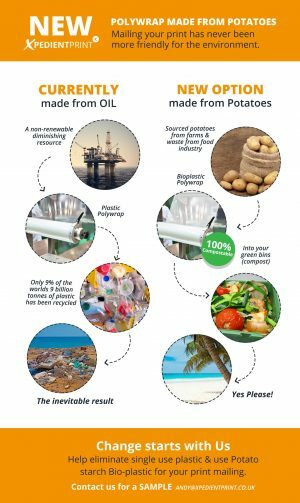 Bioplastics are thermoplastic polymers made from renewable resources like natural and sustainable potatoes instead of crude oil. As you are just using vegetable raw materials, bioplastics can be made using standard machines, they completely decompose and they don’t give off harmful toxins, yet they can be used in the same way as traditional synthetic plastics. As part of our direct mail fulfilment and print service, we now offer 100% compostable and eco-friendly magazine polywrap that is produced from various potato products such as potato starch and other waste from the food industry. This new, eco-friendly and sustainable mailing material is a robust, sound, and environmentally-responsible packaging alternative which also provides a high-end quality finish. Made from renewable resources, Bioplastics are becoming part of our everyday life. Strong and efficient, they have many applications from packaging and mailing and the fast food industry to freezer grade and pharmaceuticals & cosmetics. All raw materials used in the production and manufacture of Bioplastic are in compliance with relevant food contact and EU packaging directives (94/62 / EEC). Bioplastic has already been used to great effect as an alternative magazine wrapping material by many well-known publications. These companies and individuals are doing their part in this global cause to phase out single-use plastics. Xpedient Print are fully behind improving the environment and are working with partners and customers to achieve their various goals. This has resulted in using the potato starch-based polywrap as part of our growing environmental friendly offerings and commitment to supporting its customer’s aspirations. Surprisingly to many, bioplastic polywrap actually enhances the customer experience by providing a more premium and desirably greener end product, so there’s that benefit too. If you would like a to see a sample of BioPlastic or are interested in getting a quotation for a mailing project, then please do get in touch.